In an unprecedented first, Warner Home Video and MK2 have brought together the major works of film legend Charlie Chaplin into a unique collection, available for the first time on DVD and VHS on 22nd September 2003. The film quality has astonishing clarity and sound that was never before possible through digitally mastered pictures and audio from restored vault elements under the supervision of the Chaplin family estate. Now for the first time you can experience the wonder, the laughter, the magic and the genius of the world's first superstar in a way no audience has experienced before. Warner Home Video proudly presents the definitive Charlie Chaplin Collection on DVD. Towering masterpieces, every DVD contains one of a kind documentaries taking you behind the scenes and into the personal life of a legend with rare footage, outtakes and interviews. Presented with fully restored picture and sound giving you an experience even better than the original theatrical presentation. The full collection line-up is: The Great Dictator, Modern Times, The Gold Rush, Limelight, The Kid, Monsieur Verdoux, The Circus, and City Lights. The Collection will be available to buy on DVD for £22.99 each and on VHS for £12.99. The Collection will also be available as a special 10-feature box set with stunning artwork approved by the Chaplin family estate and including two bonus titles, A Woman of Paris and A King in New York and the new documentary Charlie: The Life and Art of Charles Chaplin. Highlights of the bonus features on the DVDs include never-before-seen footage, behind-the-scenes glimpses and exclusive family home movie footage, deleted and alternate scenes and musical scores remastered in Dolby Digital 5.1. Richard Schickel's new documentary Charlie: The Life and Art of Charles Chaplin which screened at the Cannes Film Festival, features contributions from leading figures in the film industry with Martin Scorsese calling Chaplin "the greatest movie icon of all time" and "the first figurehead audiences all over the world could love." Robert Downey JR who played Chaplin in the bio-pic of the same name talks of his "unimaginable skill" and that film's director Sir Richard Attenborough tells how Chaplin "transformed cinema into a world means of artistic communication." WHV is the worldwide distributor (excluding Japan) of these definitive new Chaplin releases, which were created and produced by Paris-based MK2 in conjunction with Association Chaplin™ (the Chaplin Family estate). This year sees a number of events taking place to celebrate the life and art of Chaplin including theatrical re-releases, new video and DVD releases, a series of screenings with live orchestral accompaniment by the London Philharmonic Orchestra, a new scholarly journal devoted to Chaplin and a major season of Chaplin films at the National Film Theatre in London. Chaplin plays two totally opposite roles in his first "talkie," giving a superb display of his boundless talent for both inspired comedy and powerful drama. One of his masterfully drawn characters is a Jewish barber facing the constant threat of storm troopers and religious persecution. 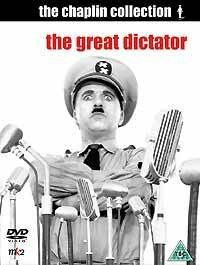 The other is the great dictator, Hynkel, a brilliant lampoon of Adolph Hitler that is awesome proof of Chaplin's pantomime genius. The movie's famous highlight comes in its final scene, when Chaplin steps out of character and addresses the camera with an eloquent plea for the triumph of reason and humanity over mindless militarism. This speech is so moving that Chaplin was later asked to repeat it on national radio, and the film itself was voted one of the year's Ten Best by The New York Times. One of the happiest and most light-hearted of the Chaplin pictures. 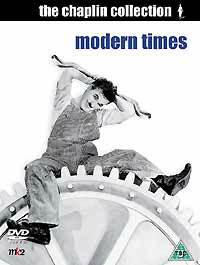 The Little Tramp punches in and wigs out inside a factory where gizmos like an employee feeding machine may someday make the lunch hour last just 15 minutes. Bounced into the ranks of the unemployed, he teams with a street waif (Pauline Goddard) to pursue bliss and a paycheck, finding misadventures as a roller-skating night watchman, a singing waiter whose hilarious song is gibberish, a jailbird and more. In the end, as tramp and waif walk arm in arm into an insecure future we know they've found neither bliss nor a paycheck but, more importantly, each other. The times and satire remain timeless in Modern Times. 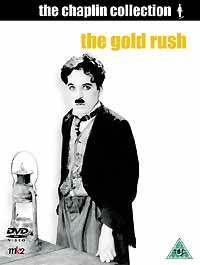 The Gold Rush, Charles Chaplin famously said, is "The picture I want to be remembered by." In 1998 leading movie critics and experts voted and remembered, choosing this 24-carat comedy as one of the AFI's Top-100 American films. Chaplin's irrepressible Little Tramp seeks riches in the Yukon in this all-time classic presented here in Chaplin's later sound-era re-release version (Disc 1) and a remastered original silent version (Disc 2). Leave it to the Tramp to turn hard times into hilarity as he savours a thanksgiving feast of boiled shoe, slip-slides inside a house teetering on a cliff, choreographs a whimsical dance of dinner rolls, and faces all manner of perils with pluck and fortitude. The Gold Rush is a cinematic wonder. Remember. And enjoy. 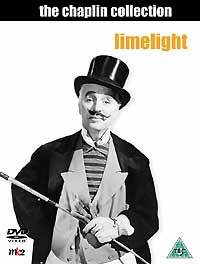 Charles Chaplin's Limelight is a glimmering homage to what was, a proud look at a bygone entertainment era and a bittersweet tale of an artist passing the torch to a new generation. Chaplin portrays Calvero (the "tramp comedian" per an old theatrical poster in his room), who rescues a distraught ballerina (Claire Bloom) from suicide and mentors her to success. Among the film's comedy highlights is a musical routine that's anything but routine in the hands of legend Chaplin and stoney-faced Buster Keaton. The extraordinary score by Chaplin, Raymond Rasch and Larry Russell earned the screen legend his only competitive Oscar. Winner of 4 Academy Awards. Art Direction, Cinematography, Costume Design and Original Score, 1976. Winner of 2 BAFTA Film Awards. Best Direction, Best Cinematography, 1976. The Tramp cares for an abandoned child, but events put that relationship in jeopardy... The Kid was director Charlie Chaplin's first full-length film and is considered one of his best. 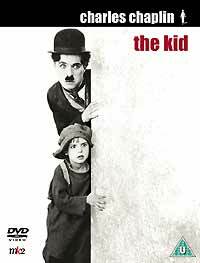 Co-starring five-year-old Jackie Coogan, whom Chaplin discovered on a Los Angeles vaudeville stage, The Kid is the story of a child abandoned in a limousine by his unwed mother (Edna Purviance). When The Little Tramp finds him, he tries unsuccessfully to find a home for the boy. Obliged to keep him, The Little Tramp teaches the youngster about life on the streets and just as they have bonded and become a family, the boy's mother returns in a bittersweet finale. This blistering little black comedy was well ahead of its time when released in 1947. Originally, Orson Welles had wanted Chaplin to star in his drama about a French mass murderer named Landru, but Chaplin was hesitant to act for another director and used the idea himself. He plays a dapper gent named Henri Verdoux (who assumes a number of identities), a civilised monster who marries wealthy women, then murders them (as we meet him, he's gathering roses as an incinerator ominously bellows smoke in the background) and collects their money to support his real family. The Little Tramp is now a distant memory, though this was the first film not to feature Chaplin's beloved creation. Verdoux is largely viciously clever. 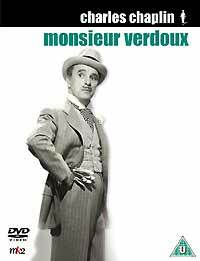 Ultimately, Chaplin breaks character (much as he did in The Great Dictator) to preach to the masses, declaring that against the machines of war that grip the planet, humble killer Verdoux is "an amateur by comparison." 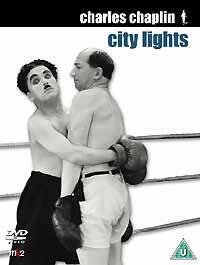 One of Chaplin's most highly acclaimed films, City Lights is both a classic and a personal statement in which the master of pantomime proves the eloquence of silence. Combining wonderful comedy in the finest Chaplin tradition and evocative drama, the Little Tramp falls in love with a beautiful, blind flower girl (Virginia Cherrill). She believes he is wealthy and he, in turn, sets out to raise the money for the operation that could restore her sight. Through countless mishaps, a cycle of mistaken identities, and a lot of luck, he finally succeeds and the operation is a success. The final scene, in which the girl discovers the true identity of her benefactor, is a poignant encounter that has been lauded as one of the most memorable and moving moments in film comedy. Charlie Chaplin's penultimate film - featuring his final starring performance - was made in 1957 but wasn't officially released in America until the '70s, when it, surprisingly enough, won an Oscar for Chaplin's score. What took so long? Thanks to his politics and unorthodox personal life, Chaplin was pretty roundly hated by the late '50s. Chaplin plays King Shahdov of Estrovia, on the run when revolution grips his homeland. 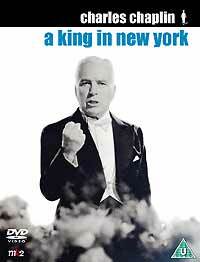 In New York, despite the occasional indignity, he's treated as royalty until he takes a stand against the commie-hunters, a plot line that hit way too close to home at the time (Chaplin, remember, was ahead of everyone in attacking Hitler when he made The Great Dictator). The legendary silent movie of manners, mores and morals, A Woman of Paris, the first Charlie Chaplin film in which he did not appear. 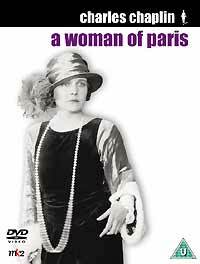 Marie St. Clair (Edna Purviance) believes she has been jilted by her artist fiancé Jean (Carl Miller) when he fails to meet her at the railway station. She goes off to Paris alone. A year later, mistress of wealthy Pierre Revel, (Adolphe Menjou) she meets Jean again. Misinterpreting events she bounces back and forth between apparent security and true love. Charlie: The Life and Art of Charles Chaplin will be available as a bonus feature in the Chaplin Classics Volume 1 DVD box set and the Complete Chaplin Collection VHS and DVD box sets. Richard Schickel's new documentary Charlie chronicles Charles Chaplin's brilliant career as an actor, writer, director, producer and composer as well as his controversial and much publicised private life - his love affairs and four marriages, his paternity suit scandal and persecution by the FBI, culminating in a self-imposed exile from the United States. With its brilliant observations, rare footage interwoven with scenes from Chaplin's greatest films and a remarkable series of newly recorded interviews, Charlie is the definitive documentary overview of Chaplin and his Little Tramp. Among the long list of actors, friends and family paying tribute are Martin Scorsese, Johnny Depp, Woody Allen, Robert Downey JR, Milos Forman, Sir Richard Attenborough, Geraldine, Michael and Sydney Chaplin. These projects complement the previously announced plans for a Charlie Chaplin Research Foundation on the South Bank, with principle objectives to record, co-ordinate and provide a focal point for access to Chaplin-related holdings in Britain. The bfi is delighted to have appointed David Robinson as the first Research Fellow of the Foundation. In August 2003 bfi Video is due to release a collection of the seminal short films made by Chaplin at the Essanay studios (1916/17), which include some of the funniest and most innovative work of his career. In November 2003 and Spring 2004 his shorts produced at the Mutual Studios (1915) are also to be released. In late November and December the NFT will present a retrospective of Chaplin's restored feature films. The bfi Chaplin retrospective will go on a national tour in January/February 2004. Complementing the DVD releases and retrospective, the London Philharmonic Orchestra will present a weekend of live accompaniments to Chaplin films in the Royal Festival Hall's Silver Screen Classics series (28-30 November 2003).